Who owns your head? This provocative question means a great deal to many people around the world who practice a religion known as Santería, or alternatively La Regla de Ocha. 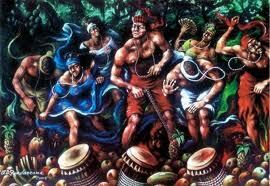 This tradition originates among the Yoruba people of West Africa, in the area of present-day Nigeria. And thunder in her thighs! 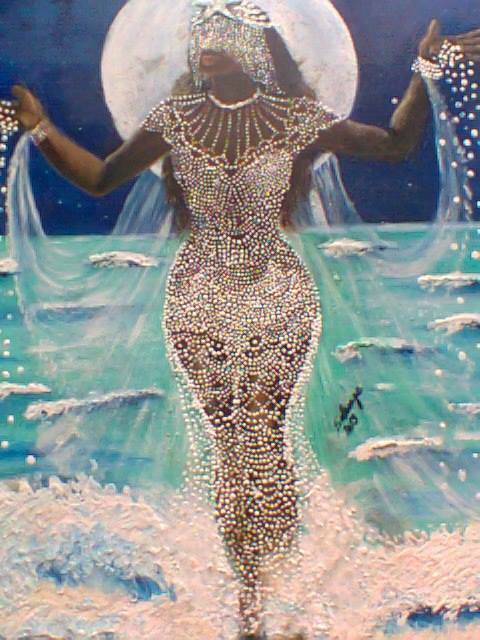 Yemaya (also spelled Yemoja, Iemoja, or Yemayá) is one of the most powerful orishas in Santeria. 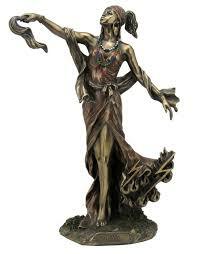 She is the mother of all living things, rules over motherhood and owns all the waters of the Earth. 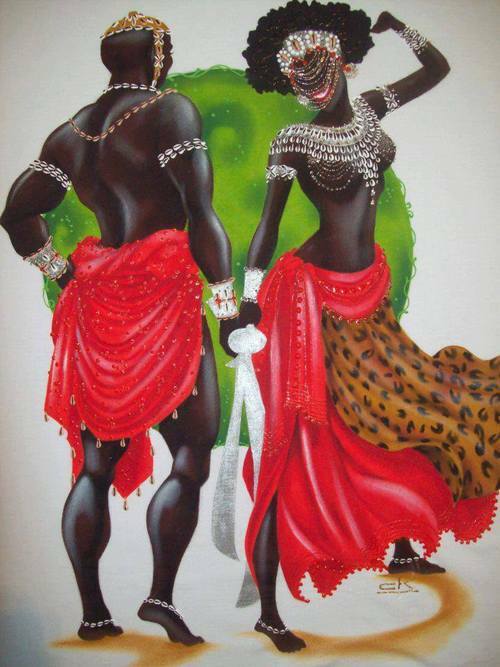 She gave birth to the stars, the moon, the sun and most of the orishas. 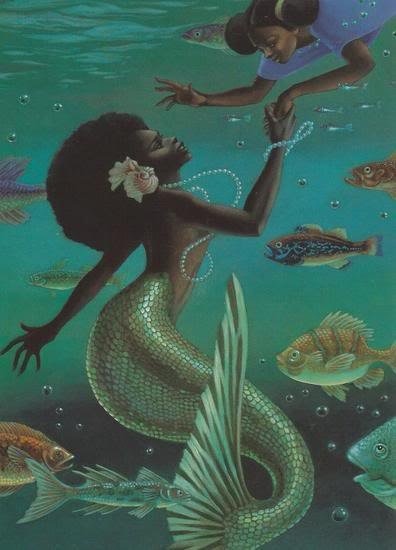 Yemaya makes her residence in life-giving portion of the ocean (although some of her roads can be found in lagoons or lakes in the forest). Yemaya’s aché is nurturing, protective and fruitful. 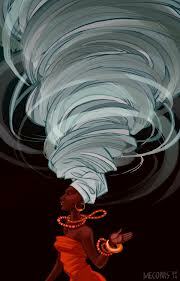 Yemaya is just as much a loving mother orisha as she is a fierce warrior that kills anyone who threatens her children.